The SmartGlove is designed to help relieve hand fatigue and repetitive stress injuries while you're keyboarding and mousing. 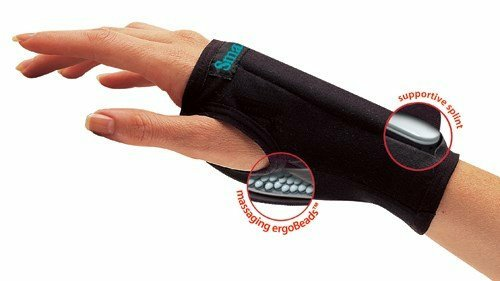 Smooth ergoBeads fill its under-palm wrist cushion, providing ergonomic support and a gentle massage for better circulation. A firm removable stiffener in the upper pocket encourages you to keep your wrist in a neutral position. 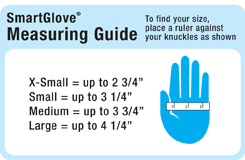 Turn the glove inside out to reverse it for left handed use. Available in three sizes.